Every seller wants to sell his/her house for top dollar, in the fastest, easiest manner possible. There are numerous ways to sell a property and pros and cons associated with each. The three major factors you need to consider when selling a house are Speed, Price and Convenience. Unless one is very familiar with the process, it is all too easy to wind up sacrificing some portion of one or more of the factors but there are ways to get the maximum from each..
Price it right at the time of listing to avoid reducing the price later. Most sellers want to list their house at the highest price possible, believing they can always reduce price later. This approach does more harm than you would think, because when a house is listed, the first 15 days will see the most potential buyer traffic and if your property is over-priced, you lose the initial momentum and interest, resulting delays, subsequent re-pricing and eventual sale for an amount lower than desired. How to price it right? You need to research similar housing recently sold or currently for sale of a similar age in like subdivisions with comparable amenities, focusing on lot size, square footage, design, fit and finish inside and out (including any extra amenities) in order to identify the closest comparables to your property so that a solid, marketable price may be determined. Knowing this data will further allow you to intelligently adjust the pricing to meet your needs (decreasing will normally result in a quicker sale, while increasing, though it can put more money in your pocket brings with it risks of longer time on the market and/or failure to sell). Interior design and upgrades to sell. When you initiate these repairs or upgrades, keep trends and styles in mind and focus on the changes working-in with the rest of the house (and even neighborhood). Moving conservatively will usually be the most economical route and be least likely to conflict with potential buyer’s taste. Front and back yard landscaping. Curb appeal is always important to set the first impression for the buyer; a well maintained yard is a positive introduction to the rest of the house. Consider staging – properly done, it can add value to the presentation of the property. Keep the house clean and well organized to support the impression of a well maintained and cared for home. Presale Inspection: During the option period, your house will be inspected by a licensed inspector. Planning a pre-sale inspection can help determine potential issues and enable you to address them prior to putting your home on the market to insure a smooth sales/inspection process. Retain the right realtor. Employ a knowledgeable professional: to guide you through the entire process, from negotiation thru paper work to the step by step walk through of the final closing. It is critical that the agent knows how to vet qualified buyers to eliminate the risk of buyer lender decline deep into the process, to recommend the right repairs, to photograph, present and display the property to the best advantage and most importantly, to be an effective negotiator on your behalf and manage potential risks, thereby protecting your interests during the process. Guaranteed, no risk of lender decline or failed inspection. Fast closing in matter of days or on the seller’s schedule. No Fees. No agent fee. No repair fees. No closing costs. Flexible moving out day; many cash buyers are quite flexible on your moving out day and will work with you so that you can plan for your move without double paying rent and/or utilities. Creative solutions. For situations that a traditional realtor managed sale cannot begin to address, cash buyers are financially knowledgeable and can usually find a financial solution that will fit your needs. No need for out of pocket money up-front. No scheduling showings at buyers convenience (and all the preparation and adjusting of schedules that entails). No uncertainties or risks on agreed upon sales price, which subsequently eliminates inspection surprises and any risk that would arise associated with buyer’s lender decline and relisting revaluation. The biggest benefit is the time and effort saved and stress avoided. It really is a full time job to go through the traditional realtor process, to get it done right and the inconvenience and risks inherent in the process can leave you with a net sales price not that different from the proceeds from a cash buyer. The most important is you might end up in-pocket the same net price after sales of your house, but with no hassle and stress free. It’s usually better to identify a local buyer who has a thorough knowledge of real estate transactions in your area and a track record of his/her Integrity and honesty. The buyer should have a complete, professional presentation to thoroughly explain and guide you through the entire process from form preparation and submission thru the completion of the transaction. 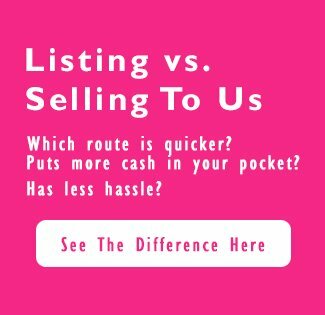 We are a professional team of cash buyers who will work directly with sellers. We have significant knowledge of our industry and possess the skills and financial acumen needed to be able to offer creative financial solutions to our seller clients. Our cash buyers have helped thousands of clients through this process, closing deals in days to the client’s satisfaction with honesty and integrity. Our mission is to provide an integrity based service that the public can trust. We are aware of our responsibilities to our clients and to the communities we serve, with a focus on growing our business while creating long-term relationships within the community. VBuyHome buys houses in and around Austin, Houston, San Antonio, Dallas and rural Texas. We are local Texas cash buyers focused on residential and multi-family dwellings and land within our state. Once we get your info, we’re usually able to make you an offer within 24 hours. From there, we typically close within 7 days… or in accordance with your scheduling needs(sometimes we can have a check in your hand the very same day). © 2017 V Buy Home. All rights reserved.